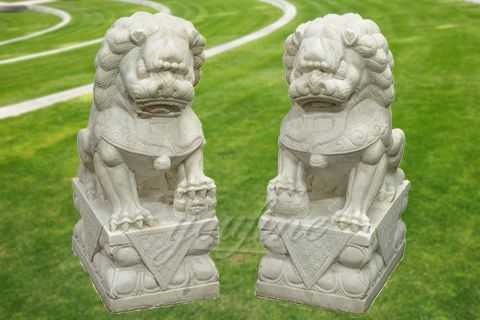 A beautiful replica of the Foo Dog Statues For Garden who has stood before important Chinese Imperial buildings since the Han Dynasty in 206 BC., the Design Toscano 9 in. 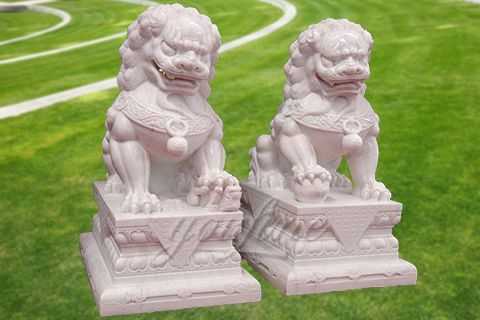 Chinese Guardian Lion Foo Dog Statue: Female protects your home. 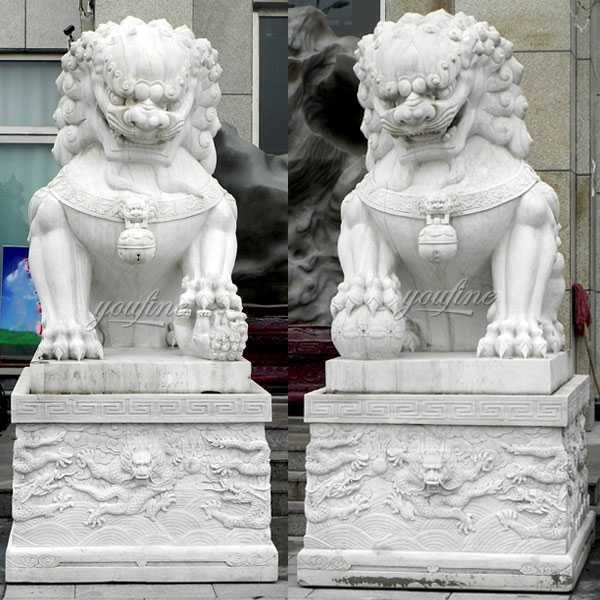 This Foo Dog Statues For Garden couple is suitable for metal feng shui element direction doors, or North front door (Hydro Feng Shui elements benefit from metal energy) like the northwest or west. The male Fu Dog (who holds the Earth) is always placed on the male or dragon side of the house (the right side of the main door). 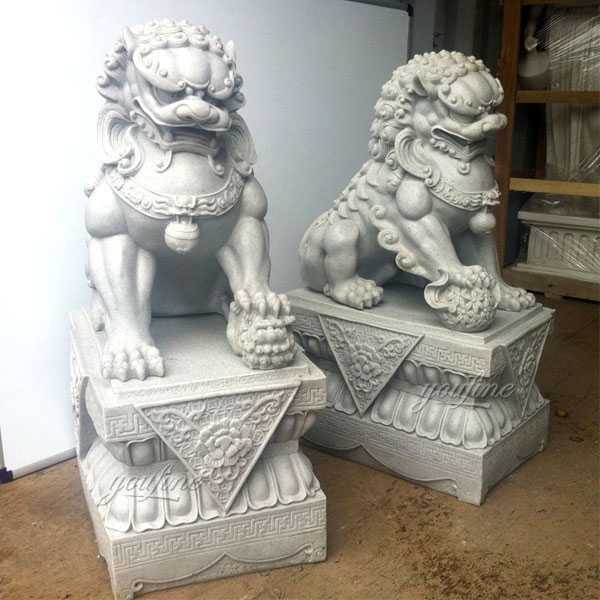 Female Foo Dog Statues For Garden (along with kittens) are placed on the women’s side or on the tiger side (left side of the main door). Look at the main door from the outside of the house and define the left and right of the house. There is a right way and a wrong way to position your pair. 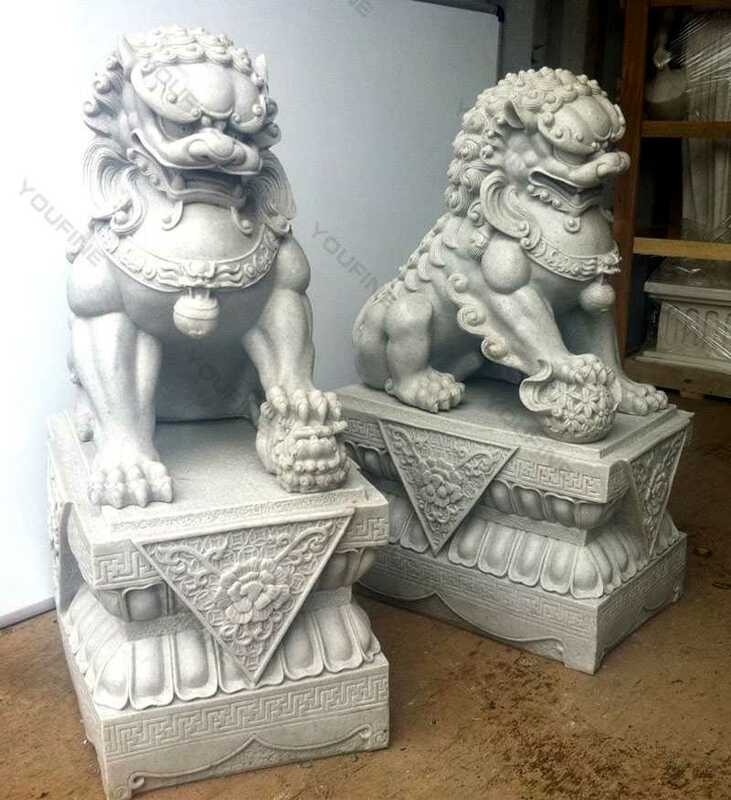 When you’re facing a pair of Foo Dog Statues For Garden, the most auspicious placement according to feng shui is with the female (with cub) on the left, and the male (with ball) on the right. And if you have a pair, displaying them together rather than in different rooms is the way to go. 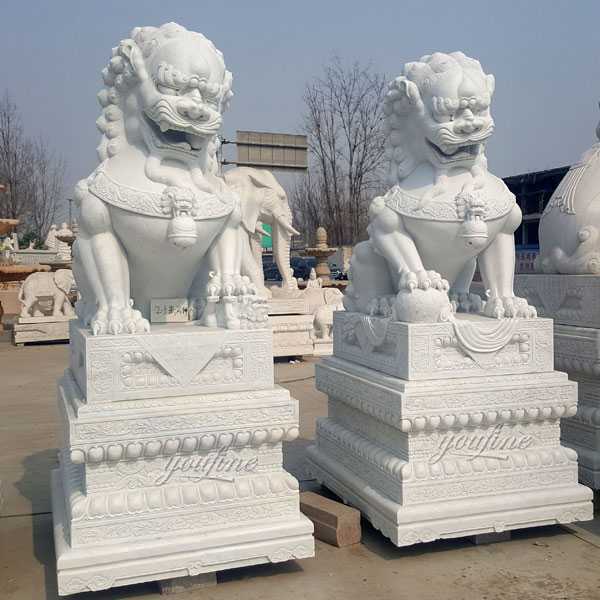 Chinese Foo Dog Statues For Garden began as a symbol of wealth and protection, a giant lion statue at the entrance to the Chinese temple. The lion was traditionally carved in marble and granite, or carved into iron or bronze. 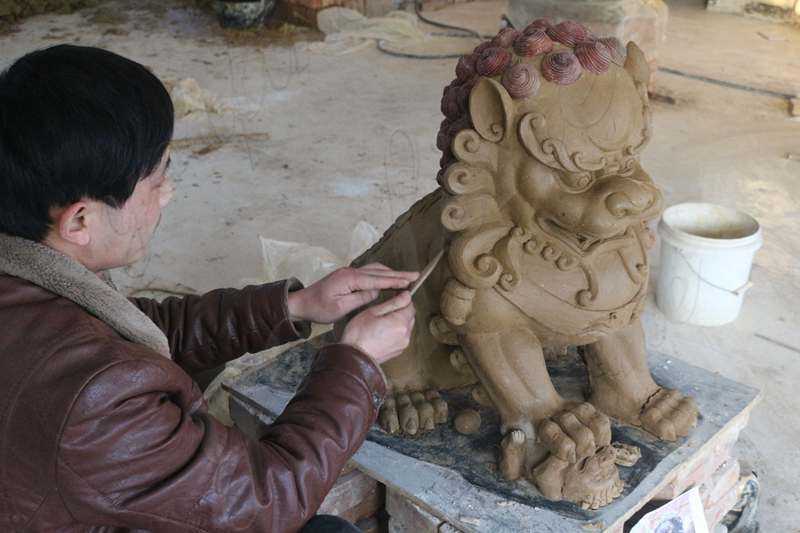 Foo dogs are different from traditional lions. The animal’s face has a playful or demonic look. 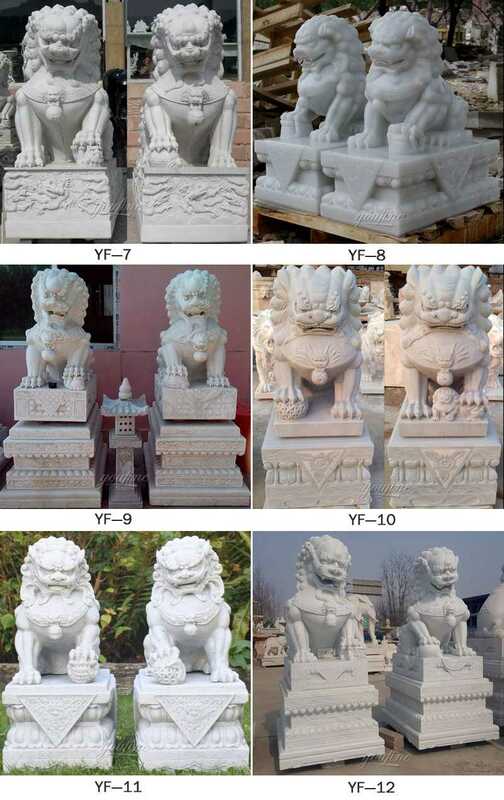 So if you have requirement or want to know more knowledge about Foo Dog Statues For Garden ,please contact with us,which having focusing on marble carving over 30 years,is your best choice !